Nothing says summer in a big city like free movie screenings in the park. Take advantage of all that Chicago has to offer with a round-up of free screenings in parks across the city—picnic and blanket optional but highly recommended. 8:30 p.m. This summer is shaping up to be the summer of Nicolas Cage in Wicker Park. In National Treasure he solves a centuries-old riddle and finds hidden treasure before the bad guys get to it with the aid of pretty (and brainy) expert (Diane Kruger). Is it like every other Nic Cage movie? Yep. Is it brainlessly amusing? Yep. Wicker Park, 1452 North Damen Avenue. 8:30 p.m. The only reason to go to a Captain America movie is to watch Chris Evans in Spandex. In Captain America: Civil War he’s joined by Marvel pals Iron Man, Black Widow, and Spider-Man among others in an epic superhero showdown with a heavy sprinkling of humor. Rosenblum Park, 7547 South Euclid Avenue. 6:30 p.m. Tap your foot along with the infectious songs of La La Land. Emma Stone and Ryan Gosling star in this super-saturated love letter to L.A. Check out our earlier review of the record-breaking Academy Award–winning film. Millennium Park. 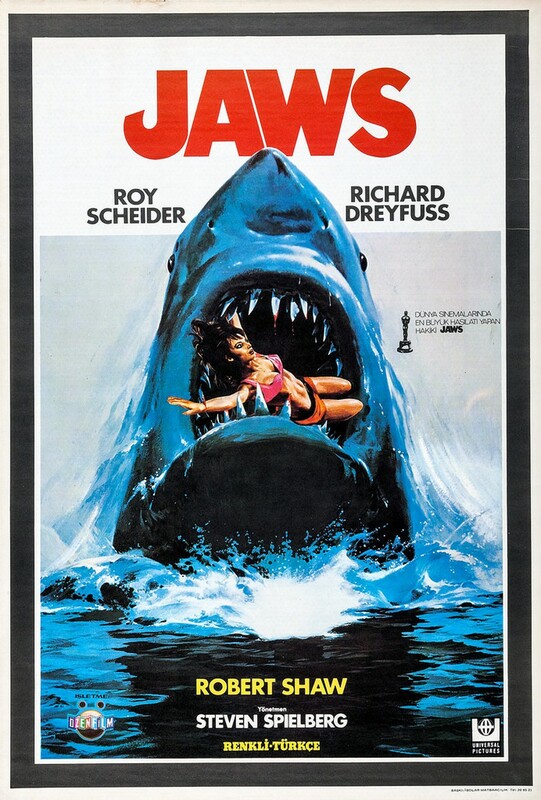 8:30 p.m. One of the original summer blockbusters, Steven Spielberg’s iconic Jaws never ceases to thrill. The slow suspense and subtly terrifying score never get old. Oz Park, 2021 North Burling Street. 8:30 p.m. Tom Hanks stars as the captain of the near-catastrophic lunar mission in Apollo 13. Based on a true story, it follows the crew of Apollo 13 as an oxygen tank explodes mid-mission and almost leaves them stranded in outer space. Oakwood Beach, 39th Street and Lake Shore Drive. 6:30 p.m. A classic tale of people seeking the American Dream, El Norte (screened in Spanish with English subtitles) follows siblings Enrique and Rosa as they flee persecution in their home of Guatemala and seek a better life in the United States. Millennium Park. 7 p.m. Get ready to root for the Cubs in the 2017 World Series with the ’90s comedy Rookie of the Year about a kid who pitches for the Cubs after breaking his arm. Park at Wrigley Field, 3637 North Clark Street. 8:30 p.m. Proudly wear your Star Wars–themed UChicago T-shirt to a screening of Rogue One, the first in a series of Star Wars spin-offs set before the original trilogy. Margate Park, 4921 North Marine Drive. 8:15 p.m. Celebrate the 20th anniversary of the childhood-defining Harry Potter books with Fantastic Beasts and Where to Find Them. Almost 100 years before the Boy Who Lived was born, Newt Scamander (Eddie Redmayne) comes to New York and is caught up in an adventure involving Nifflers and Obscuri. Piotrowski Park, 4247 West 31st Street. 8:15 p.m. The most distinguished (fictional) UChicago student makes his onscreen debut racing against Hitler and the Nazis to find the Ark of the Covenant. Featuring Harrison Ford as Indy, Raiders of the Lost Ark is a classic for good reason. Webster Park, 1357 South Indiana Avenue. 8:15 p.m. Before she was a cool-headed politician and an Amazonian general, Robin Wright was Buttercup in the The Princess Bride. Featuring pirates, giants, and witches, the cult-classic is an enjoyable romp that plays on fairytale archetypes. Calumet Park, 9801 South Avenue G.
7 p.m. Ferris Bueller’s Day Off has Matthew Broderick adventuring through Chicago as he plays hooky from school and includes several famous scenes including a Cubs game, a massive parade through downtown, and of course a case of a battered Ferrari. Park at Wrigley, 3637 North Clark Street. 8:15 p.m. An unlikely band of misfits—including a racoon, grunting tree-like humanoid, and green assassin—come together to save the cosmos in the humorous but heartfelt Guardians of the Galaxy. Bosley Playground Park, 3044 South Bonfield Street. 7 p.m. There’s something strange in the neighborhood, so naturally you call Bill Murray, Dan Aykroyd, and Harold Ramis. The original Ghostbusters packs the laughs as the group battles to save New York City from a crisis of supernatural proportions. Park at Wrigley, 3637 North Clark Street. 8:15 p.m. Luxuriate in Baz Luhrmann’s lush cinematography in his retelling of Shakespeare’s iconic play. Romeo + Juliet transplants the young lovers (Leonardo DiCaprio and Claire Danes) to Verona Beach as members of warring mafia families. Harold Washington Playlot Park, 5200 South Hyde Park Boulevard.